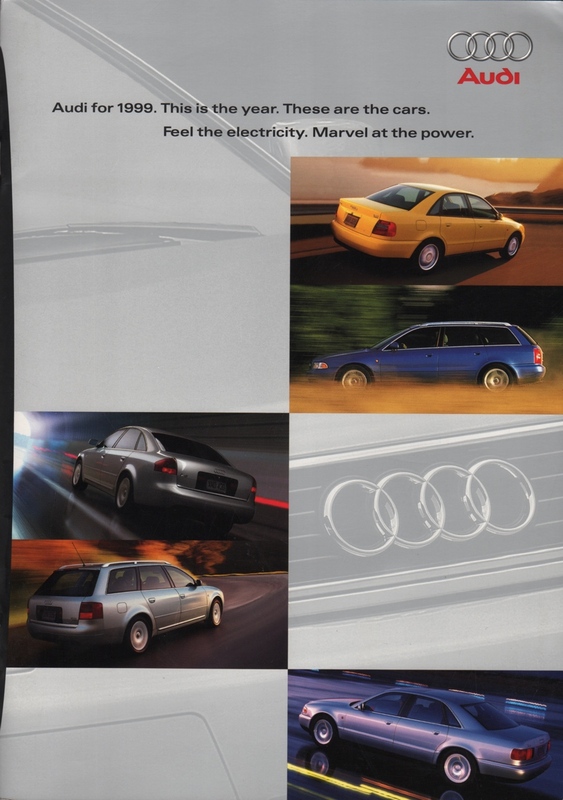 Sales brochure for the 1999 Audi featuring the Audi A4 Sedan, Audi A4 Avant, Audi A6 Sedan, Audi A6 Avant, Audi A8, and Audi A8. Engines are the 150hp 1.8L 4-cylinder, 190hp 2.8L V6, 200hp 2.8L V6, and a 300hp 4.2L V8. Brochures are presented for research use only. Company marks, emblems, and designs are trademarks and/or service marks of Audi.